Five Marys meat boxes are all packed with a package of DRY ICE to ensure that the meats arrive frozen. Dry ice is CO2 in solid form and solid at a temp of -109 degrees F, that’s cold! It helps to bring down the internal temperature of our boxes and keep the meat frozen until it arrives at the destination. The dry ice will sublimate (right into gas form from solid - never as a liquid!) 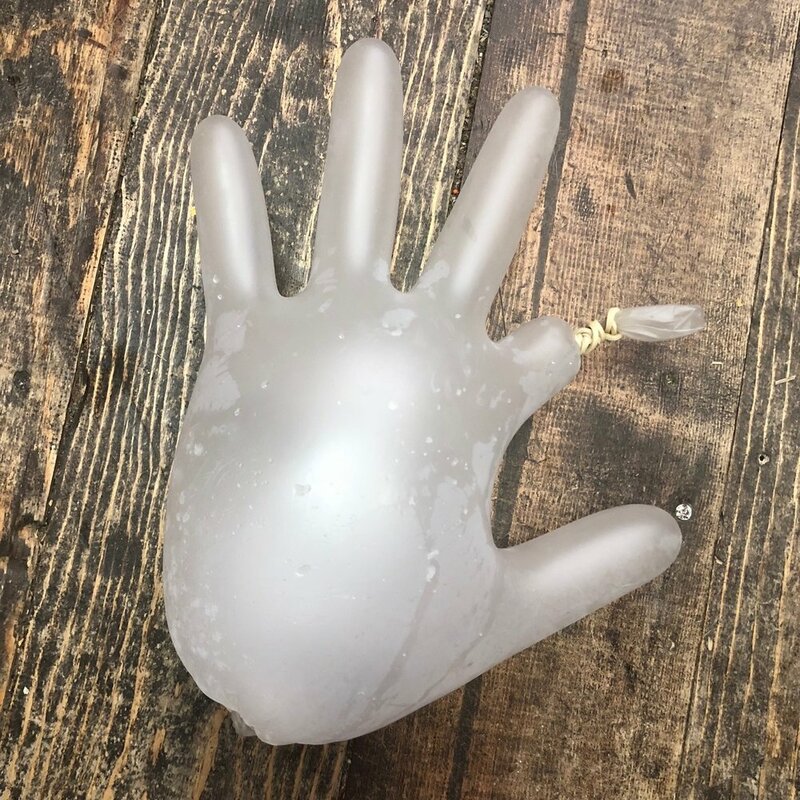 in the first 12-24 hours so it may be normal for your dry ice bag to be empty by the time it gets to your house, but it there is any left… we have a few fun experiments for you! *Never TOUCH dry ice with your bare hands, it will burn your skin just like a heat burn! *Never put dry ice in your freezer - it lowers the temperature so much it may break the condenser! Place a regular ice cube and a cube of dry ice side by side on separate plates and watch to find that the dry ice will mysteriously disappear! Unlike the regular ice cube, the dry ice will disappear without a trace of water as it sublimates right into the air without going into liquid form. Place a piece of dry ice in warm water and watch as the dry ice transforms into a cloud of CO2 and water vapor. With the proper safety precautions, this cloud is safe or you to touch, just be sure to not touch the dry ice. Eventually the dry ice will cool the water, and the cloud or smoking effect may lose its shape. You can add more warm or hot water to keep going until the dry ice is gone. Also kind of fun to drop it in the toilet! Combine warm water and add a few drops of liquid dish soap in a tall glass or cylinder. Carefully place the dry ice into the soapy water using gloves or tongs. With the liquid dish soap in the mix, the soap in the water traps the CO2 and water vapor to form a bubble. Add some food coloring to the water for colorful bubbles in the mix. You can also add a neon glow stick into the water for some fun! Put a small-medium sized piece of dry ice in a latex glove or balloon and watch it inflate while it sublimates! The CO2 sublimates and the vapor fills the balloon or glove - possibly to the point where it pops! Freeze a soap bubble over a piece of dry ice. The bubble will appear to float in the air above the dry ice. You can pick the bubble up and examine it too! Put about an inch of warm water in the bottom of a large box, glass container or aquarium. Add a few pieces of dry ice (using tongs or safety gloves). During this process, the dry ice will appear to be smoking as it transforms into a combination of CO2 and water vapor. You can blow bubbles into the container or aquarium using a bubble wand and a bottle of bubbles. The bubbles will appear to be floating in midair inside of the container, but these bubbles are actually floating on CO2! Add dry ice to the punch bowl to make a fun spooky beverage - this is fun anytime of year but especially around Halloween! Place a small piece of dry ice against a metal spoon or metal surface - listed as it vibrates and “sings”!